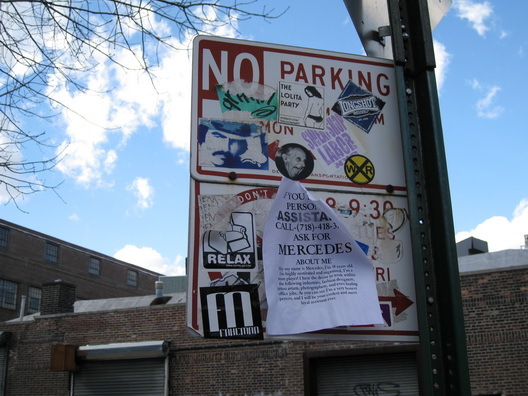 This Alternate Side of the Street parking sign on Berry Street near N. 4 has been stickered up for a long time, but it just gained some advertising for a personal assistant. Why not? It's not like you can read the sign.